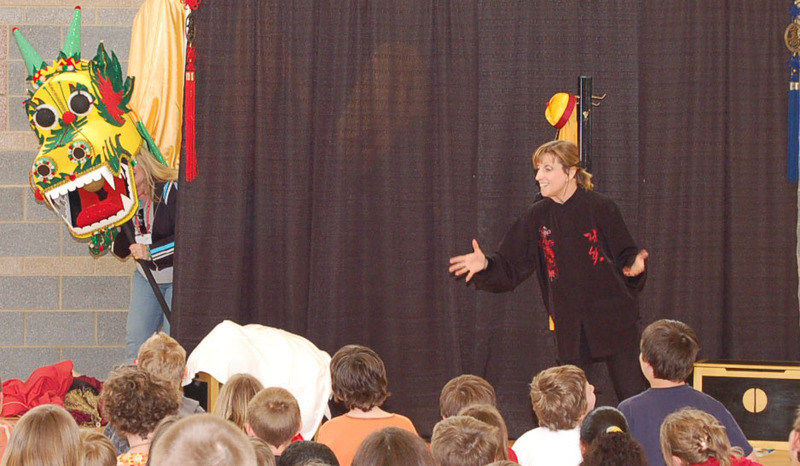 Live Storytelling: "The Seven Chinese Brothers"
Using props and puppets and plenty of audience participation, Once Upon a Puppet recreates a live version of the ancient Han folk tale of "The Seven Chinese Brothers". In this epic tale, the Seven Brothers use their own amazing powers to defeat the tyrannical Emperor Ch'in Shih Huang to save each others lives. The 45-minute storytelling session ends with a great song and surprise visit from a 20 foot long golden dragon. An interactive, fun treat for kids (and adults) of all ages!